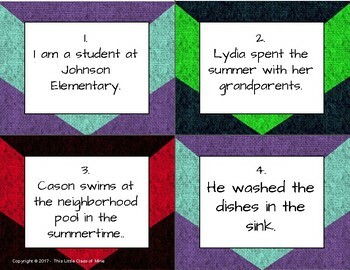 Students will find the verbs in the sentences on the card and write the verb(s) on the answer document! These cards are intended to be a scoot game, but could be used as task cards to assess the students knowledge of verbs in a small group setting as well. 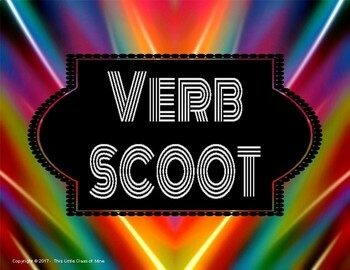 If you like this product check out my other Language Arts Scoots available!